Steeped in history, this technique involves using intricate patterns which have an almost graphic quality to create an embroidered picture. Blackwork was traditionally used as decoration on caps, collars and cuffs and usually depicted small floral motifs in the repeat design. 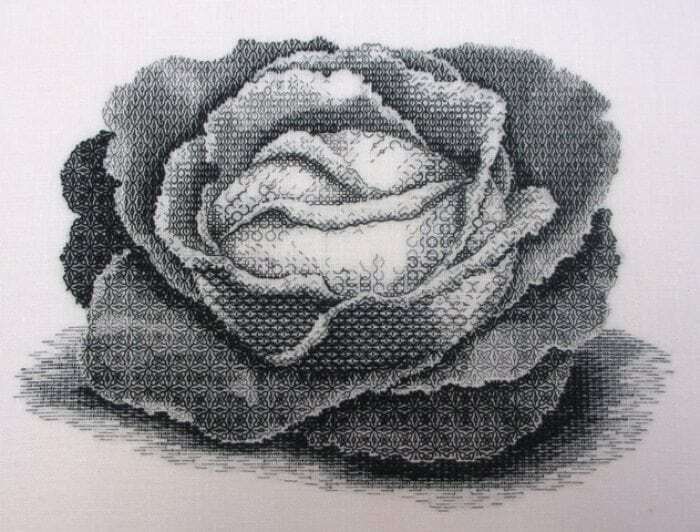 Blackwork progressed in the 20th century and the RSN now uses it to portray realism and form through differing densities of thread and pattern to create tonal shading. Using a counted thread technique with a variety of geometric stitches in one colour, dramatic effects are created which are particularly effective with portraits and architectural themes. 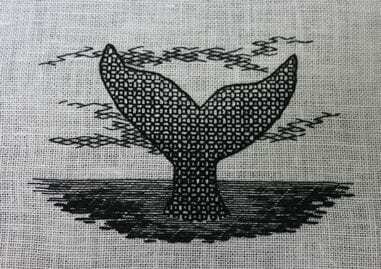 Blackwork is a very diverse technique and although traditionally worked in black any single colour can be used. © Copyright The Royal School of Needlework 2019. Registered charity No. 312774. All rights reserved.